MAREUIL, PIERRE DE, priest, Jesuit, missionary; b. 29 June 1672 at Bourges, France; d. 19 April 1742 in Paris. After studying at the Jesuit college in Bourges, Pierre de Mareuil entered the noviciate of the Jesuits of the province of France in Paris on 8 Sept. 1692. He finished his education in letters at the Collège Louis-le-Grand in Paris, then taught classes in grammar and humanities at the Jesuit college in Caen from 1695 to 1701. After teaching classics at the Collège Louis-le-Grand for a year, he began his four years of theology there. When his last probationary year was finished, in 1707, he sailed for Quebec. 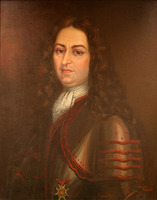 Pierre de Mareuil spent about six years in New France, and one in captivity at Albany, New York. On arrival he was sent among the Onondagas to help Father Jacques de Lamberville*. The Jesuits were still in the Iroquois territory, in spite of New York’s claim to exclusive control of the area and despite the laws passed by the New York legislature against Catholic propaganda among the Indians. This colony did not, however, feel the same hostility towards the French to the north as did New England in its entirety. The English colony, the former apanage of James II, in which the Dutch mercantile families still had a powerful influence, as yet recognized Queen Anne’s authority only with some hesitation. The Iroquois, whose territory was a buffer zone for the English and French, did not want to be dominated by the colony of New York and were using their alliance with New France to preserve their independence. In 1709 the English colonies decided to conquer the St Lawrence valley and a fleet was to set out from Boston and sail up the river, while an army would go up the Hudson and attack Montreal. In May Abraham Schuyler, a relative of Peter Schuyler*, was sent to the Onondagas to win them over to the English cause. He began by frightening Father Lamberville, who went north to warn Governor Philippe de Rigaud* de Vaudreuil. Thus rid of the Jesuit’s influence, the English agent was successful in winning over the Onondagas and persuaded Father Mareuil to take refuge at Albany, without mentioning, of course, that he had been ordered to take him prisoner. The missionary followed Schuyler and spent a year in New York settlements – a prisoner, but well treated by his guardians. During this time the English army gave up its attempt at invasion [see Francis Nicholson*-, Claude de Ramezay*; Samuel Vetch*]. 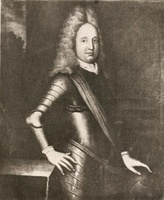 Once freed in May 1710 in exchange for Barent Staats, a nephew of Peter Schuyler and a French prisoner, Father Mareuil explained that Nicholson’s failure was due to the Iroquois, who had contaminated the drinking water in Peter Schuyler’s camp and had thus reduced the English force to impotence. It is possible that upon returning to the St Lawrence valley Father Mareuil lived for some time at the Sault-Saint-Louis mission (Caughnawaga) while waiting to go back among the Onondagas. But since the Iroquois mission could not be re-established, he stayed at the Saint François-de-Sales mission (Odanak) from May to August 1711; then he went to the Jesuit college in Quebec to teach philosophy. He was a victim of the epidemic of fever and purpura which ravaged the colony in 1713 and had to sail back to France in the autumn of that year. It is said that the ship on which he was travelling was captured by the English and that he had to spend a year as a prisoner in England; his return to France is in any case mentioned only in 1715, at the time when he took up his abode at La Flèche. Subsequently he was for 13 years prefect of studies in Jesuit colleges in France. He died at the Collège Louis-le-Grand on 19 April 1742, having given up all activity two years before. After his return to France, Pierre de Mareuil acquired a reputation as a Latinist by publishing religious poems and translating religious or patristic works. In addition his knowledge of English enabled him to translate and publish, among other works, Milton’s Paradise regained. Finally, he wrote and published some works in French, one of which, a life of St Jeanne de Valois, was translated into Italian. For more extensive information on the works of Pierre de Mareuil as author and translator see: Bibliothèque de la Compagnie de Jésus, première partie: bibliographie, par les pères Augustin et Aloys de Backer; seconde partie: histoire, par Auguste Carayon, Carlos Sommervogel, édit. (11v., Bruxelles, Paris, 1890–1932), V, 538–41, and the Catalogue général des livres imprimés de la Bibliothèque nationale: auteurs (206v. to date, Paris, 1924-), CVI, 478–79. ASJCF, 479; 487; 784; 891. 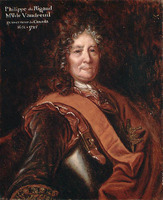 Charlevoix, Histoire de la N.-F. (1744), II, 334, 338–39. NYCD (O’Callaghan and Fernow), IX, 836, 842, 845, 847, 856. Lucien Campeau, “MAREUIL, PIERRE DE,” in Dictionary of Canadian Biography, vol. 3, University of Toronto/Université Laval, 2003–, accessed April 24, 2019, http://www.biographi.ca/en/bio/mareuil_pierre_de_3E.html.